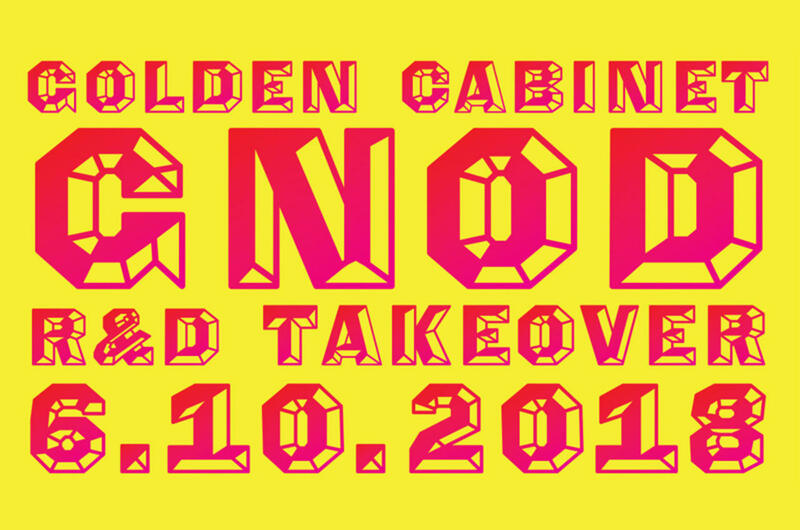 Golden Cabinet's 5th Birthday / Gnod R&D Takeover. 6.10.2018. For our 6th October show, we’ve handed the reins over to the mighty GNOD’s Research & Development department. For us, GNOD represents the true spirit of the underground and are one of the most powerful, relentlessly creative forces to emerge from the UK in the 21st Century. They are a unit we love, trust and deeply respect. GNOD and their various off-shoot/solo projects; Ahrkh, Negra Branca, Druss and Dwellings have played for us a number of times, rocked the place, and taken us on journeys through inner and outer space. They have travelled far and wide - seen thing’s we’ll never see — it seemed like a very natural thing for them to curate an evening to celebrate 5 years of Golden Cabinet. Zim Zum, a Lancastrian named Amy Horgan, captured by a French-formerly-Bristolian tape label. The six-track Zim Zum is Horgan’s debut release, if not recording – she also plays in witchy Manchester ensemble Water, breathes the same air as the Gnod / Tesla Tapes extended family and makes music which sounds of a piece with many of those crazy critters. Distantly resembling techno, but committed to its grinding, fuggy atmosphere more than providing beat-based succour, ‘Knightmare Space Cake’ churns with the dread of Throbbing Gristle or Carlos Giffoni; the dubbed-up chain rattling and ghostly gasps of ‘Routine Maintenance On The Initiation Highway’ is colder and creepier still. ‘Deathwish N.M’, the most rhythmically linear moment here, is graced with a vocal from Michael O’Neill, whose street-poet rap about some inspecific grim crim pettiness is a tonic to hear again after a good few years of minimal activity. Harrison Collins and Robin Footer published music changes. Their sudden behavior is different from the area, at least adds the account slowly. The artist does not set and add better body activities to open audio words, spoken words, movie recorders, and things. Their work on language agreement can be intentionally injured and injured: all goods and all. At least once. Constantly shifting art/noise collective with debut album out already on Maybles Labels and new releases due out on Tesla Tapes and Maternal Voice in 2018. Successfully toured Eastern Europe to a sublime response after releasing self-titled debut album on Maybles Labels in 2016. 2017 saw memorably righteous sets at Sounds from The Other City Festival and Fat Out Fest as well as being commissioned to curate an event for The White Hotel - ‘Monastery of Sound’ playing alongside some of our favourite artists including Bourbonese Qualk, English Heretic and Woven Skull. This ephemeral project will be over after 64 live performances, each of them will be recorded. For the Golden Cabinet, a special combo will be set up ...surprise! Instigator/chieftain of the 5-headed DJ cabal SCHWET; an auxiliary arm of Bristol DIY anti-profit (dis)organisation Cacophonous Sarcophagus. Born of frustration with banal club culture, the tribe was conceived in imagining "what if Steven Stapleton were to take to the 1s & 2s?". SCHWET is "a session where we can do what we want to do". KHOM VISUAL is one half of the dynamic and unstoppable force IMPATV. Only 100 advance tickets available for this show.